Welcome to FPGAMining.com! We design and sell custom FPGA based hardware for Bitcoin mining. 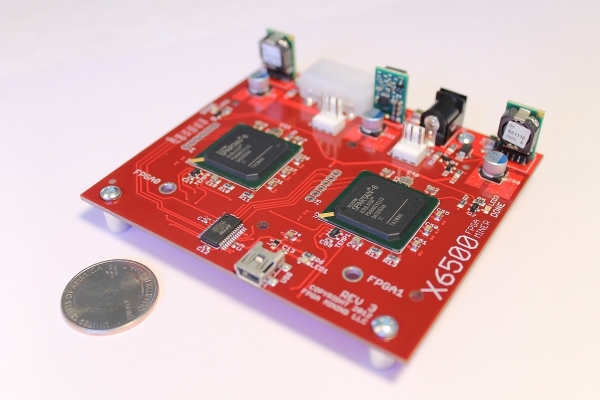 More details on the X6500 FPGA Miner here! Due to decreased demand, new X6500 FPGA miners are no longer being produced and FPGA Mining LLC has suspended operations. No additional X6500s are available or will be produced.